If you have a party or gathering coming up and really want to impress some of your family members, coworkers, or friends, why not try some traditional desserts from beautiful Fiji? Its island inspired flavor is heavy in coconut and fruits while being mostly naturally sweet instead of adding a lot of artificial sugar. Fijians have had a long list of desserts for ages and let’s just say you’ll never be unsatisfied with the variety and tastes they produce. Most of their desserts only take around 20 to 30 minutes as well so if you’re looking for your sweet fix or just need something quick yet delicious for your next dinner, Fijian desserts are the way to go. Starting long ago, Fijians had to work with what they grew and so you’ll find that most of the Fijian desserts star coconut, cassava, and bananas. Whether it be the savory Coconut Cassava or the lingering taste of spiced Honey Cake, you can never go wrong when choosing a Fijian dessert to star at your party. The Coconut Cassava cake is a traditional, flavorful cake made from grated cassava, coconut milk, condensed milk, and a layer of custard. You will savor the taste of this popular dish as you bite into a fluffy yet crisp bar that will delight your senses. You’ll often see coconut cassava cake at special occasions and celebrations as they are tradition and they are relatively simple to make. This treat is as rich as it is sweet due to its ingredients. Cassava is a root crop and is actually a major staple food in developing countries due to its drought resistance and ability to grow in less than ideal soil. Cassava is a high provider of carbohydrates and can be classified as both sweet and bitter. Most of the cassava you eat will be sourced from Thailand as they are the biggest exporter for it. When you mix this root crop with the other ingredients listed, you are sure to get a taste you’ll always enjoy. It has been a tradition to make this cake for ages and most everyone in the family can join in, even small children. Everyone you serve it to will enjoy this sweet treat with its delightful flavor. The next dish on our list is as beautiful as it is tasty. The Fijian traditional treat called Vakasoso is made out of 2 ripe plantain bananas, a cinnamon stick, coconut milk, brown sugar, cardamom pods, and caramel sauce. The caramel sauce on top is made out of coconut milk, dry coconut, and mint leaves. In Fiji, Vakasoso means “something added” and when you add all of these natural, tasty ingredients together, you’ll see why. Vakasoso is to be served warm and its delightful flavor will leave you feeling relaxed and satisfied. The sugar in this treat is all natural sugar which is great for those who are watching their sugar levels or their weight. Plus, the milk used is coconut milk, a healthy alternative to whole milk! We all know whole milk contains loads of unnecessary fats. Coconut milk is a great resource for healthy fats and calcium as well as many vitamins such as Vitamin B, Vitamin C, and Vitamin E. It also has its fair share of minerals such as iron and magnesium. So, while you’re enjoying all the cinnamon goodness that this treat provides, you can also rest easy knowing it is made up of great ingredients. 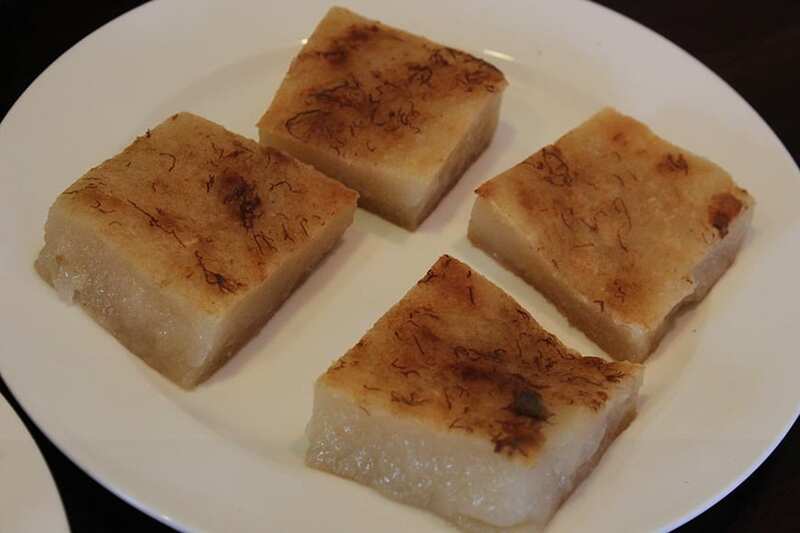 Vakalolo is another traditional Fijian dessert that requires 1-2 medium cassava that is grated, aluminum foil, 3 cups of coconut milk, and 1 to 2 cups of sugar. Making Vakalolo has been a traditional practice for quite some time and its something even kids can help make. To create this savory dish, you first need to mix all of the ingredients together in a bowl. Then, need to place about ½ of a cup of grated cassava in a stretch of foil and then wrap it. Next, boil some water and when it comes to a boil go ahead and throw the foil that contains the cassava into it. Leave the foils in there for about 45 minutes and once you take them out, voila! You now have Vakalolo. It is a pretty simple recipe for such a great reward. It has a unique flavor to it that is sure to be imprinted in your mind. Vakalolo is also often cooked in banana leaves which adds stickiness and more of a fruity flavor to the treat. It’s up to you on how you want to cook it, it is done both ways. Whichever way you decide to cook it, you’ll find paradise with this little island dessert! While this may seem like a lot of ingredients, it is truly worth it for this soft and flavorful cake. You will have to give it a day to harden as it is quite soft at the beginning. In a large bowl you combine all of the mentioned ingredients except the almonds. The almonds you should set aside as you will be using them later. Next, pour the batter into a 9x5 inch loaf pan and set the oven to 350F. Once the oven reaches 350F you will place the pan inside and leave it to cook for about 45 to 55 minutes. Check the center with a toothpick to make sure it comes out clean and is fully cooked. Finally, enjoy your delicious treat, you’ve earned it! To begin you would place the egg whites, cream of tartar, and almond extract in a bowl. Beat it at a high mix speed until you begin to see small white rises in the batter for about 2 minutes. Without stopping your beating, you must begin pouring in your sugar just a little bit at a time. This time keep beating until solid rises form. Next you must add in about 2 tablespoons of chopped pecans. To begin forming you Pecan Meringue Kisses drop teaspoon sizes dollops onto a foiled cookie sheet and cover them in the rest of your chopped pecans. You bake this at 250 degrees Fahrenheit for 40 minutes and then leave your new pecan meringue kisses to sit on the warm cookie sheet until it is completely cooled down. The last step is the most important step...enjoy! Those mentioned ingredients were for the crisp outside shell, for the filling you will need sliced fresh or dried apples and 3 teaspoons of apple juice. If you want to make your fried apple tarts even more sweet, add confectioners’ sugar as needed on the top of your tarts. To begin making your tarts; mix eggs, baking powder, sugar and salt in a bowl. Add oil and milk to this mixture and stir it well. The next thing you should do is add flour one cup at a time. Knead the dough either by hand or with instruments until it is smooth and without bumps. Divide this dough into 10 pieces and turn each piece into a circle. For each circle, place two or three tablespoons of your fresh or dried apples in the center. Fold the circle over your apples so that you are left with something that looks like half of a circle and crimp the edges with the instrument of your choosing. Deep fry each and every one of these 10 circles until they are a golden brown color at which point remove them and wait for them to cool a bit. Once they cool, add your powdered sugar and you’re done! Enjoy your fruity and sweet dish. This is a very simple dish to make and is quite quick as well. Once you have done it a few times you can fly through the entire recipe in minutes! The directions to this dish starts with taking a bowl and in it sifting the flour and baking powder. Next measure out the cardamom powder, the sugar, and the sultanas and mix it all with the flour and baking powder. For the next step you want to add in water in small amounts. You want the dough to be pasty, not too dry and not too gooey. Roll out your dough and ensure that it is smooth with no bumps and heat up the oil so that you can begin deep frying. Either using your hand or an ice cream scoop, grab some of the dough and form it into small spheres. Drop the spheres of dough into the oil so that it can be deep fried until it is brown on all of its sides. Before you dig in and enjoy this tasty dessert, place your Gulgula on a napkin so that it removes the excess oil. Finally, enjoy eating! To begin, grab a bowl to mix the mashed bananas, sugar, vanilla, eggs, and melted butter in and mix it until it is a fluffy mixture. Grab a second bowl and in that one mix the baking soda and flour. You should gently take your dry ingredients and fold it in with the wet ingredients until you have a smooth mixture. Pour the smooth batter into a greased and lined cake tin and then bake it at 340 degrees Fahrenheit for 30 minutes. When its done, check it with a toothpick to make sure that it is cooked fully to the center and then softly remove it from the greased pan. Finally, it’s all ready to eat now! Serve it at your next big party if you’re looking for a taste of traditional Fiji flavor.